Get Saskatoon IT Support That You Can Trust & Understand! Burnt Orange isn’t your run-of-the-mill Saskatoon IT support company. We started as a response to what our founders Gareth and Alison McKee saw as subpar service in the Saskatchewan IT support field. 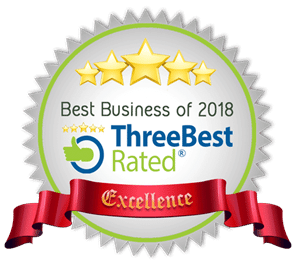 They figured that clients deserved better, and as such, Burnt Orange Solutions now offers everything that the conventional IT support company doesn’t! We don’t overload the conversation with unnecessary technical jargon and other nonsense. We don’t talk about technology, we talk about business value. Honesty and respect are important factors in our daily communication as people, and as such we don’t talk down to clients about the particulars of an IT set up. Instead, we present simple solutions with clear, business-based advantages. We will not nickel and dime you for our services, nor will we add unexpected fees to the invoice after each interaction. At Burnt Orange, we provide comprehensive service for a simple monthly rate. With the entirety of your IT costs coming from one provider, your budgeting process becomes that much easier. Trust us ..we are the Saskatoon IT solution you have been looking for. While many IT companies operate on break/fix models, waiting for you to come to them after you’ve experienced an issue with your computer system, our comprehensive support services make us your IT department. By outsourcing the entirety of your technical needs to Burnt Orange Solutions, you never have to worry about it again. If you have been struggling with digital security, dealing with frustrating third-parties or perhaps you just have questions about your business email account, we will take care of it for you. We want you to have the peace of mind to focus on your business’ real priorities, not repetitive and irritating issues with your technology. 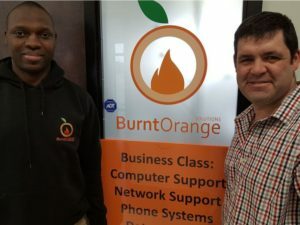 New Faces: Burnt Orange Solutions gains traction. At Burnt Orange Solutions, our team hope to get to know each and every client on a personal level. The more we know about you and your business, the better we can ensure that your technology meets your needs. Burnt Orange Solutions specialize in 10-50 user businesses in Saskatoon and surrounding area. We provide a straightforward and reliable IT service you can trust. To learn more about what we can do for your Saskatoon IT needs, contact Gareth at Burnt Orange today.